Doug Louiselle is a Nashville-based musician. He graduated from what was the Tech Music Schools of London (now British & Irish Modern Music Institute) from the Master's Performance Course in 2011 for Drum Performance and Music Composition. Doug has a long musical background, starting with 9 years of piano, and plays guitar & bass as well. An accomplished songwriter in his own right, Doug has had songs featured on MTV, ESPN, & countless radio stations around the United States. 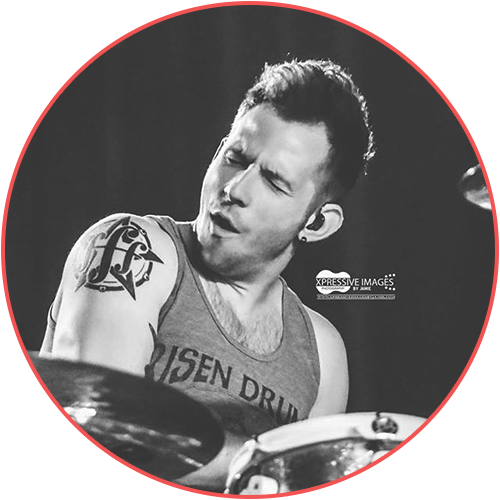 He loves being the Music Director and Drummer for Chris, as they share a close, brotherly bond! 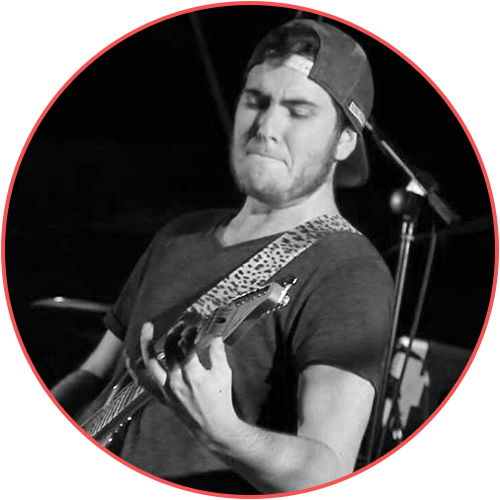 Hailing from the northern suburbs of Dallas, Texas, Ray moved to Nashville in 2011 to pursue a life in music. While attending Belmont University, Ray spent time playing with many diverse singer/songwriters, fronting a rock ‘n’ roll trio, and co-founding the indie surf punk band, 12th Street Social Club. After graduating at the end of 2014, Ray spent most of 2015 on the road with Kristian Bush (of Sugarland fame) as his guitar tech, touring North America. It wasn’t until early 2017 when he met Chris Ferrara through an old college friend and after a trial by fire, joined The Common Good, where he remains the longest serving member. A passion for playing was planted in the heart and soul of Daniel Newell at just 13 years old in Orange County, Ca, and his already accomplished career is still growing! As a touring guitarist for various artists, Daniel always has a guitar in hand. When he's not on the road, you can find him recording new tracks in the studio, shooting demonstration videos of the latest and greatest gear, or giving lessons to local aspiring players. Daniel’s first taste of success came in 2012, when he was selected as a Top 6 National Finalist for Guitar Center's Battle of The Blues competition. This only pushed the young guitar slinger to keep playing anywhere and everywhere he could. 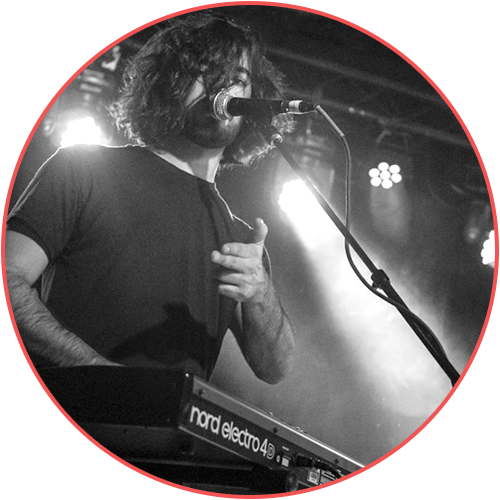 In the last four years, Daniel has had the opportunity to play countless venues, record on various albums, and tour both Nationwide and Internationally. 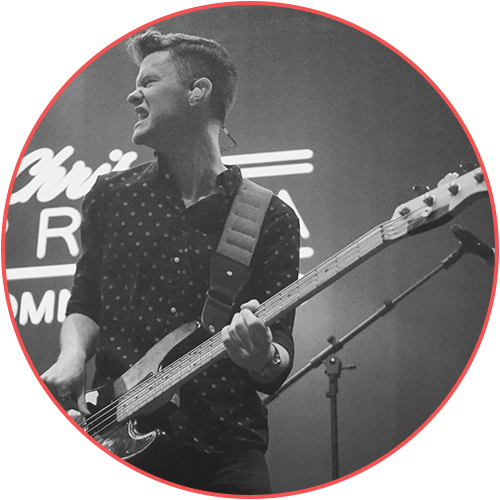 Some of his favorite career highlights include touring the Mediterranean to support our troops, opening for Jana Kramer, Joe Nichols, Jamie Lynn Spears, Jessie James Decker, Joe Bonamassa, and many more. Now residing in Nashville, TN, you can catch Daniel playing Thursday nights alongside Chris Ferrara, as part of The Common Good at Dierks Bentley’s Whiskey Row. He’s thoroughly enjoyed his time touring with the band so far, and looks forward to all upcoming shows with them. Check his “Social” Media handles for a taste of his signature grooves. You won’t be disappointed! For as long as I can remember I’ve had a very strong and natural connection with music. My grandmother, on my dad’s side, would tell stories of me spending hours on end teaching myself to play her organ when my family would visit her in Florida back when I was 5 years old. We lived close to my grandfather, on my mom’s side, and when we would visit I would spend most of my time listening to his old Frank Sinatra records. Ol’ Blue Eyes was one of my biggest influences as a musician and I later learned that one of his biggest influences was a trombone player by the name of Tommy Dorsey. The summer before 6th grade my family took a vacation to Jamaica where I met an old Jamaican man, who spoke no English, selling conch shells down on the dock that you can play. While other kids were playing on the beach and in the ocean, I spent several days sitting next to this man trying to learn to play the conch shell. It wasn’t until day 4, returning on a boat from a snorkeling trip, that I finally blew into it and created the most beautiful sound I had ever heard. As we were pulling into the harbor I ran to the edge of the boat and blew the shell as loud as I could for that old man. He heard me, stood up, and blew a shell back to me. We went back and forth all the way into the dock until I could get off the boat and give that man a hug. It was my first musical conversation. At the start of 6th grade I decided to take band as an elective. The day came to try out all the instruments and to choose the one you wanted to play. The very first instrument I picked up was the trombone and, because I knew how to play the conch shell, I was able to play the trombone on the first try. I chose the trombone without trying any of the other instruments. It was a natural fit. I have incredible parents who pushed me musically at a young age. At the age of 15 my parents began taking my younger brother (tenor saxophone) and I to blues clubs across our hometown of St. Louis to sit in with different blues bands. We began performing with and learning from St. Louis blues legends on a weekly basis and quickly became known around town as “The Fritz Brothers”. Throughout high school my parents would also take us to Chicago, Kansas City, and New York City to perform with jazz and blues musicians alike and we were fortunate to share the stage with some of the very best musicians in the industry at some of the most renowned jazz and blues clubs in the country. Some musicians of which are legends of history, such as Claude “Fiddler” Williams, the original guitarist for The Count Basie Orchestra. Every summer from 8th grade through Senior year of high school my parents would send us off to 4 or 5, 1 and 2 week jazz programs to study the theory behind the music. We attended elite jazz programs across the country including The Jim Widner Jazz Camps, Jamey Aeborsold Jazz Camps, and The Skidmore Jazz Program in upstate New York where I met and worked with jazz legend Curtis Fuller, the only trombone player to record with John Coltrane. As I said, my parents are incredible. After studying at Northern Illinois University as a jazz performance major I spent 3 years back in my hometown of St. Louis working for my parents company. I knew I needed to leave for somewhere to pursue music as a career and I had my heart set on LA. In 2013, at the encouraging of my father, I very reluctantly paid a visit to Nashville, TN. After all, why would a trombone player move to a country town? After visiting for just two days I fell in love with the city and moved to Nashville just one month later without knowing anybody. I immediately began hustling gigs on broadway and after only three months I quit my day job and began performing full time. Over the years I have worked as a live musician, studio musician, composer, arranger, and musical director. I met Chris Ferrara in January of 2017 and immediately struck a musical bond with him. I feel very blessed to be his trombone player and am very thankful that he allows me to not just play trombone, but to perform as an entertainer as well. Hailing from the greater-Cincinnati area, Trevor showed an affinity for music from a young age. 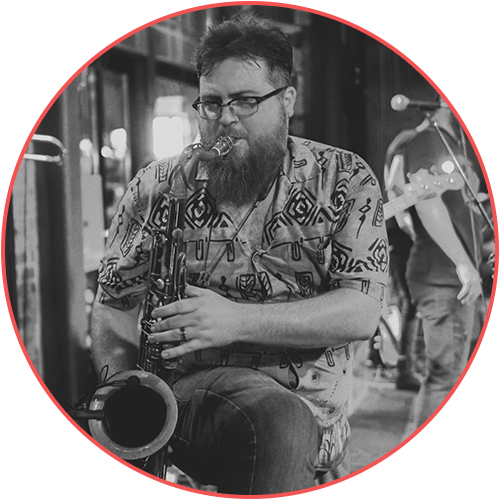 No doubt a product of his musical upbringing, his love and curiosity for music grew and led him to complete degrees at Northern Kentucky University in Jazz Studies and a Masters of Music at Belmont University. While in Cincinnati, Trevor began his musical journey with his father’s band at the age of 16. He later joined a mainstay group in Cincinnati known as the E*Funk Band, a 20 year tradition of Funk and R&B that would Expose him to the musics of Earth, Wind and Fire, the Ohio Players, Stevie Wonder, and many other major exponents in the Soul, Funk and R&B world. While with the E*Funk band Trevor, in conjunction with his younger brother led a side project in that same mold. Trevor’s time in Cincinnati led him to open for many national touring acts including, Rare Earth, Aerosmith, Toby Keith, and Slash (formerly of Guns & Roses). Since his move to Nashville, Trevor has been seen performing with a multitude groups that specialize in a wide array of styles. The first of which was The Willies, an homage to New Orleans Traditional jazz and vaudeville comedy. 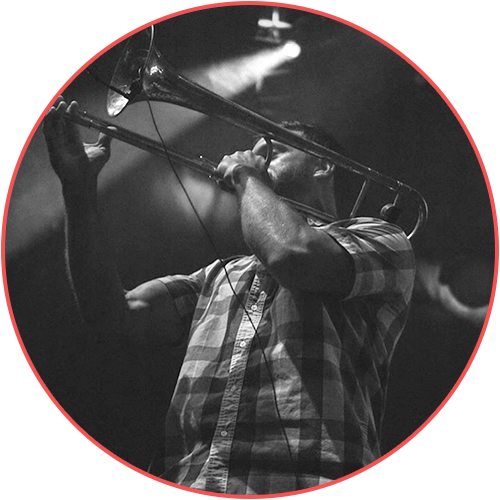 This band in conjunction with the house band Skull’s Rainbow Room provided Trevor with an intimate understanding of Traditional Jazz and Swing. Currently, Trevor is working with a Number of Private events acts along side his tenure in Chris Ferrara and the Common Good.